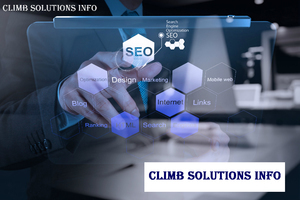 Climb Solutions Info (CSI) is a global IT services provider. CSI provide web consulting, technology outsourcing and digital marketing services in an cohesive manner to integrate best of the web application development & Web design services with deep sector expertise. CSI live and breathe the philosophy of working towards making life easier for people, so for CSI us people matter and results count. Business value of technology comes from and through people. CSI aim to empower you to respond more quickly and intuitively to changing market dynamics. CSI's aim is to meet all your requirements and deliver quality results at highly competitive prices. CSI have a team of Web designers, web developers, android Developers and digital marketing experts with more than 10 years of experience in building solutions within multiple industries including retail, telecommunication, financial sector and many more.